Retouching of car photos requires a special approach and careful choice of free Lightroom car presets. Vehicles do not know how to pose in a right way, so the whole task of making a photo composition, a right light and lens position and a position of camera angle depend on a photographer. Further the task of improving and choosing free automotive Lightroom presets lie on retoucher`s shoulders. What do you need in order to get an excellent car picture? You may answer that you need a good model, but this is not true. For photo shooting almost any car or other type of vehicles is suitable. The task of enhancing such photography with the support of car Lightroom presets can be more difficult than dealing with other type of pictures, but it is possible with professional post processing car photos. Not always conditions of photo shooting can satisfy all necessary requirements. It often happens that the adjusted lighting leaves much to be desired or the background is not suitable and terrible, but you cannot choose or replace them. The correct retouching and selecting right Lightroom presets for car photography can improve this situation. 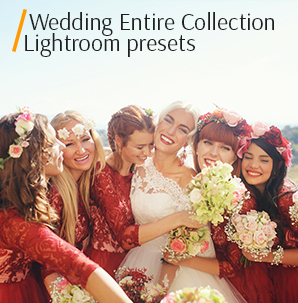 Today photographers have a wide choice of car photography Lightroom presets free. LR Preset #1 "POP Medium"
LR Preset #2 "Medium Clarity"
LR Preset #6 "Warm Colors"
LR Preset #8 "Old Film"
LR Preset #9 "Dark Light"
LR Preset #10 "Black and White"
Lightroom free presets automotive have been developed by professionals, who specialize in photographing cars and know all the secrets and specifics of their photo post processing. The set of car Lightroom presets consists of plugins that will give you the opportunity to add matte, film, b&w effects, etc.You will be satisfied with the results after free automotive Lightroom presets, as the photo will look perfect, unique and professional. Automotive photography editing is the effort-requiring process that needs concentration and professionalism. 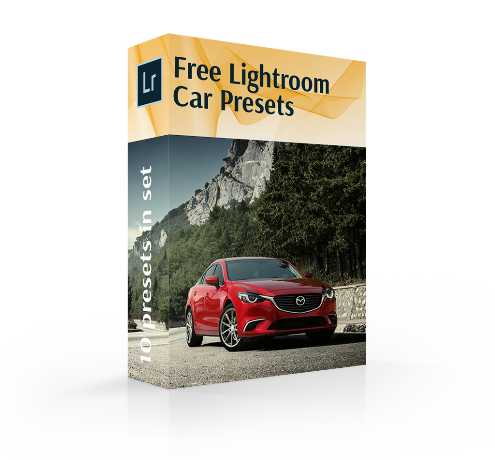 For making the procedure easier, free Lightroom presets automotive have been created and organized into groups. For photographer`s comfort they suit for every photo type. Car Photography Lr Preset #1 "POP Medium"
These Lightroom presets for car photography can be downloaded for free. Photographers use them for making photo colors pop. Such plugins are useful for solving the problem with dull and lifeless coloring, as they saturate tones and make car photos realistic. Free Lightroom Car Preset #2 "Medium Clarity"
These Lightroom free presets automotive have a range of brought bonuses for untouched pictures where different vehicles are captured. Firstly, plugins of this type deal with brightening blue and green color spectrum. In order to make car images more realistic, free automotive Lightroom presets offer to adjust clarity and contrast. Cooling and sharpening are among additional options. Car Photography Lightroom Preset #3 "HDR"
This preset was taken from "HDR Real Estate"
Car photography Lightroom presets free with HRD effect are used for bringing a realistic image. Improved photos after the plugin have deep clarity, saturated color spectrum. In order to underline all picture details a strong vignette comes into actions. 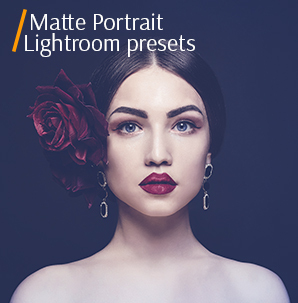 Due to the enumerated options, the famous Lightroom presets suit for street and landscape images. Lr Car Photography Preset #4 "Film"
In case a photographer goals to add film-inspired look to car photography, these free Lightroom presets automotive come into usage. The plugins are able to create a dramatic feel to any photo to make the final look impressive and professional. Free Adobe Lr Car Preset #5 "Matte"
Perfect Lightroom free presets automotive for those photographers that want to achieve a retro effect with an unusual modern twist to a photo they make. A final look is made to be vintage and matte. Among bonus options there are adding saturation and contrast. Lightroom Car Preset Free #6 "Warm Colors"
That is a sample of the simplest effective Lightroom presets for car photography that is based on common color correction to get warm tones. This effect does not introduce significant changes. It usually does not change completely the cardinal color tone, so it can be safely called universal. Free Lightroom car presets will completely suit any photo and even reportage. Lightroom Car Preset #7 "Saturation"
This preset was taken from "Product Photography"
Car photography Lightroom presets free are focused on improving photo colors. They add sharpening and vibrance and for these options they are selected for dull pictures. Due to their flexibility in offered techniques plugins are suitable for all photo genres. Car Lightroom Preset #8 "Old film"
You can download beautiful cinematic car Lightroom presets that add sepia and specific black fields to pictures. Plugins also create a peculiar greenish-blue photo result that is frequently observed in films. Outcomes after these free automotive Lightroom presets remind scenes of old films. 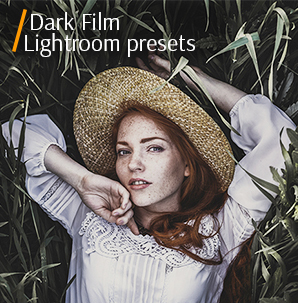 Free Car Lightroom Preset #9 "Dark Light"
The next free Lightroom presets automotive are chosen by photographers, because they add a recognizable dramatic effect. Outcomes are improved by added split-tones and dark colors. Adobe Lightroom Car Preset #10 "Black and White"
Delicate and professional look is observed after the next free Lightroom car presets. They create gentle pictures in black and white spectrum. If you see that the brightness of the picture is not enough for you and it lacks sharpness, just try our free Lightroom presets automotive: medium clarity, warm colors or dark light. With the help of such plugins you will get an ordinary, but exclusive picture. The contrast is good, the colors are bright, the sharpness is satisfactory and all this is achieved due to Lightroom presets for car photography. Often a photo is overloaded with colors. It looks ridiculous, because it is impossible to choose on what to focus attention. If you face such problem while retouching a car photo, just try the b&w free Lightroom car presets. They will divert attention from small details and will focus all attention on the central part. If you want to make a photo bright and juicy with a slight accent on details, choose car photography Lightroom presets free in which the clarity indicator predominates. Increasing micro-contrast with car Lightroom presets cuts out the contours of the photo. An interesting effect can be achieved by lowering the contrast and enhancing the micro-contrast on the soft and pale photo or by turning down clarity and increasing the photo contrast. This effect you will achieve using Lightroom free presets automotive. If you want to get a realistic photo of a car and bring the picture captured by the camera closer to the image that our eyes see in reality, use the HDR effect achieved by free Lightroom car presets. Thanks to the HDR effect in Lightroom car editing expressive photos that look realistic and natural are produced. Assess advantages from our tips, download the free automotive Lightroom presets and get a photo from a glossy magazine in one click without much effort.